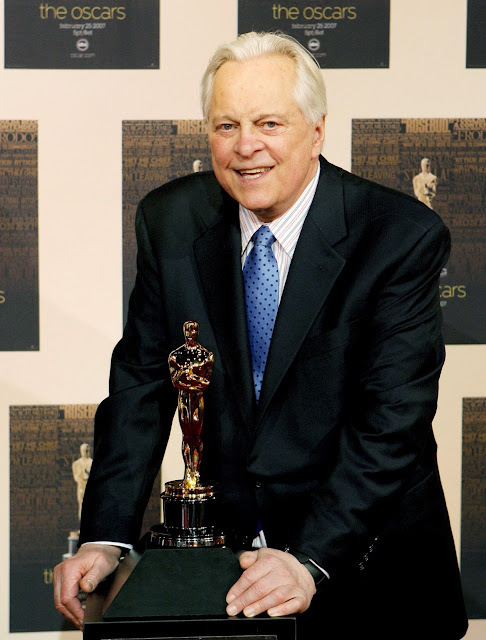 Robert Osborne, the urbane, silver-haired film historian who had been the principal host of the Turner Classic Movies cable channel since its founding in 1994 and was a genial ambassador for an otherwise vanished era in filmmaking, died March 6 at his home in New York. He was 84. His life partner, theater director and producer David Staller, confirmed the death but did not disclose the cause. Besides its magnificent film trove, TCM owed a sizable portion of its growth as a brand to Mr. Osborne, an unalloyed cinephile and former acting protege of Lucille Ball’s who once was actress Bette Davis’s date to the Academy Awards. He wrote official histories of the Oscars and was a longtime columnist for the Hollywood Reporter, a show-business trade publication, but his gift was never about going for the journalistic jugular. “I would be told secrets, and I would keep the secrets,” he once said, adding that he learned actor Rock Hudson had AIDS long before it was publicly known. His ingratiating personality and insider knowledge led to work as a host on The Movie Channel from 1986 to 1993. American Movie Classics tried to recruit him as a daytime host, but he accepted an offer from the upstart TCM because it featured more of the fare he treasured — from Marx Brothers comedies of the 1930s to later works by directors such as Akira Kurosawa and Mel Brooks. And it was a chance to work in prime time. As the suave, soothing public face of TCM, Mr. Osborne delivered revelatory tidbits before and after each screening, and he gently coaxed stars well past their prime (Patricia Neal, Tony Curtis, Betty Hutton) to speak tantalizingly of their career highs and lows. Erudite without being snobbish, Mr. Osborne conveyed a seemingly limitless ardor for the job. He could enthuse about the 1940 Ann Sothern vehicle “Congo Maisie” as much as the Oscar-winning epic “Gone With the Wind” (1939). The TCM host worked hard to intrigue first-time viewers, garnishing his segments with stories about backstage affairs and egos run amok amid filmmaking, and he tried to find new approaches to entice more-experienced viewers such as himself. Robert Jolin Osborne was born on May 3, 1932, in Colfax, Wash., a farming community. The local bijou provided an escape from his less-than-glamorous surroundings. He was bewitched not just by movies, but also by the boldly illustrated movie posters and fan magazines that featured impossibly alluring actresses such as Lana Turner and sloe-eyed Ann Sheridan. His fascination with movie promotion led him to study advertising and then journalism at the University of Washington. He took acting roles in Seattle and his dashing good looks — he resembled actor Robert Wagner — led to a contract with a television production company run by Ball, the TV comedienne, and her husband, Desi Arnaz. Mr. Osborne became a regular part of Ball’s entourage, and she was greatly impressed with his knowledge of 1930s character actors such as Edward Everett Horton and Donald Meek. Because of his interest in filmmaking of the past, he published an official history of the Academy Awards in 1965. He updated the book every few years and joined the Hollywood Reporter in 1977, eventually settling in at its New York office. He became the publication’s “Rambling Reporter” columnist, covering film, theater and TV. He also moonlighted as an entertainment correspondent for various TV shows, including the CBS “Morning Program,” before the TCM job. TCM began with a modest viewership, but its reputation grew rapidly under Mr. Osborne. The network now hosts an annual, frequently sold-out movie festival in Hollywood, as well as a yearly cruise that draws thousands of passengers and has featured guest stars such as Eva Marie Saint and Shirley Jones. Over the years, TCM added other hosts, including Ben Mankiewicz, a scion of Hollywood royalty, and brought in actors such as Alec Baldwin, Drew Barrymore and Rose McGowan to appear with Mr. Osborne and add contemporary cachet. But Mr. Osborne remained the network’s clear star, a matinee idol in his own right when he sat down to interview celebrities. Mr. Osborne said he often was stopped on the street or at parties by people who tried to stump him with movie questions. At one soiree, he told the Times, he was cornered by a know-it-all. Turner Classic Movies host Robert Osborne has died at the age of 84. Fox News Channel correspondent Claudia Cowan announced Osborne's passing Monday on Twitter. Osborne was the cable channel's primary on-air talent since the network got its start in 1994. He introduced classic films to TCM's audience, often speaking with major stars — including Carrie Fisher, Drew Barrymore, Angela Lansbury and Alec Baldwin — who co-hosted with him or were interviewed by him. During his long career in Hollywood, Osborne was an actor (appearing in series like The Beverly Hillbillies) before parlaying his writing ability and showbiz interests into stints with outlets like CBS Morning News and The Hollywood Reporter. Robert Osborne, who displayed an encyclopedic knowledge — and love — of film history as the primary host of Turner Classic Movies, died Monday morning at age 84, said his partner of 20 years, theater director and producer David Staller. Osborne died of natural causes in his sleep at home in New York City, Staller said. "It's difficult to imagine a planet without him," Staller said. "He made the choice to call it a day, and he wants everyone to know that he'll see them at the after party." The genial, silver-haired and dapper Osborne was a bona fide movie connoisseur who displayed his wide knowledge of films on TCM since the 24-hour commercial-free cable network’s launch in 1994. “Hi, I’m Robert Osborne,” he’d cordially greet viewers from a stylish living-room set and quickly begin serving up fascinating information and insider trivia about the movie that was about to be shown. At the end of each film, the man Washington Post TV critic Tom Shales dubbed “an avatar of erudition” offered his closing remarks. Osborne was a longtime columnist for the Hollywood Reporter and the “official biographer” of the Academy Awards, writing a series of books chronicling the Oscars. In a 2013 Los Angeles Times interview with Susan King, Osborne said he thought the Academy of Motion Picture Arts and Sciences selected him to write the official Oscar history because in previous books he stuck to facts, not opinions. “That goes back to a book I read a long time ago about movie musicals,” Osborne said. “Whoever wrote it said 'Singin' in the Rain' was the best movie musical ever made. I thought it's great, but what if I like 'The Band Wagon' better? I found it insulting. I don't think a writer's opinion in this case is important." With an extensive library of films spanning the decades, Osborne was clearly in his element on TCM. “For anyone who loves movies like I do, Turner Classic Movies will be like falling into paradise,” he told the Hollywood Reporter in 1994 when he was named host. A resident of New York City since the late 1980s, he’d generally fly to Atlanta once a month to shoot a series of opening and closing segments for upcoming films. Viewers looked forward to hearing his comments on each movie. Osborne had more than his share of movie star fans in Hollywood. Besides hosting movies seven evenings a week, Osborne hosted special one-on-one “Private Screening” interviews with stars such as Tony Curtis, Esther Williams and Robert Mitchum —as well as directors, including Sidney Lumet, Stanley Donen and Norman Jewison. He also co-hosted films considered “The Essentials,” and he co-hosted the “Guest Programmer” series with guests such as Mia Farrow, Buck Henry and Hugh Hefner. Off the air, Osborne served as the main host of the TCM Classic Film Festival in Hollywood and shared his knowledge of film history with fellow passengers on the annual TCM Film Cruise. Osborne took over veteran Variety columnist Army Archerd’s role as red carpet celebrity greeter at the Oscars ceremony in 2006, the same year Osborne received a star on the Hollywood Walk of Fame. Among books he authored is “Hollywood Legends: The Life and Films of Humphrey Bogart and Greta Garbo” (1967). Making a living off writing and talking about movies — not to mention being satirized on “Saturday Night Live” by Darrell Hammond and Jason Sudeikis and having a bobblehead made in his image — was a dream come true for Osborne. He was born May 3, 1932, in Colfax, Wash., a small farming town, where he found escape at the movies. “I’d see Clifton Webb and Gene Tierney in ‘Laura’ and Bette Davis in ‘All About Eve,’ and I’d think, ‘Those people are so much more interesting than what I’m living around in this town,” he recalled in a 2006 interview with the New York Times. Osborne majored in journalism at the University of Washington and then spent two years in the Air Force. While stationed in Seattle, he began acting in local theater in his spare time. At the suggestion of Oscar-winning actress Jane Darwell, with whom he appeared in a play, he headed to Hollywood after completing his military service in the late ’50s. In Hollywood, Osborne quickly landed a six-month contract at 20th Century Fox and then joined a new contract-player group at Desilu studios under Lucille Ball's personal supervision. Osborne had small parts in TV series such as “The Californians,” “The Whirlybirds” and “Alcoa Presents: One Step Beyond,” as well as playing banker Milburn Drysdale’s young assistant in the pilot episode of “The Beverly Hillbillies” in 1962. He became close friends with Ball, who was impressed with both his education and his knowledge of movie history. But she ultimately advised him not to stick with acting. Osborne’s first book, “Academy Awards Illustrated,” was published in 1965. He joined the Hollywood Reporter in 1977 and took over the Rambling Reporter column from Hank Grant in 1983. He served as president of the Los Angeles Film Critics Assn. from 1981-83. On television, Osborne began serving as entertainment reporter for KTTV in Los Angeles in 1982 and five years later became a regular contributor on CBS’ “The Morning Program.” He was a host on cable’s the Movie Channel before moving to TCM. With his life then rooted in classic movies, Osborne told The Times in 2013 he didn’t get to see contemporary films all that much. "I did see 'Gravity,'” he said at the time, “but I don't have the enthusiasm to go see a movie as often as I used to go." 0 Response to "Robert Osborne, Turner Classic Movies host and film historian, dies at 84"